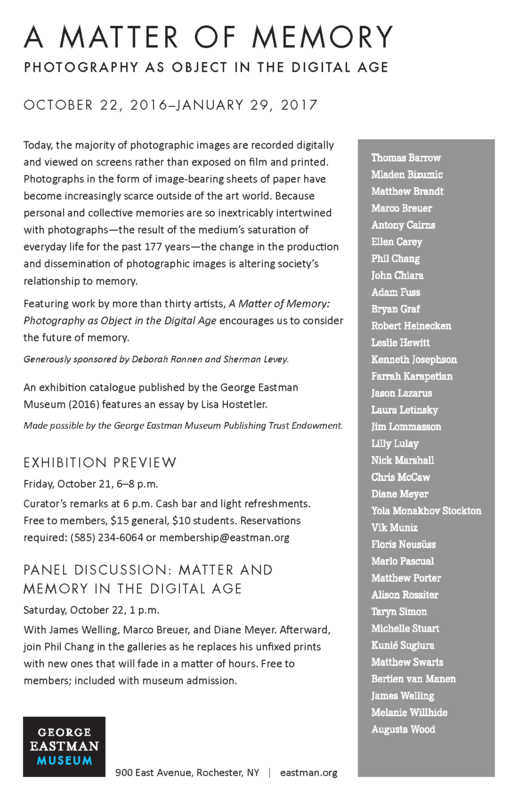 “A Matter of Memory – Photography as Object in the Digital Age” opens October 22, 2016 at the Eastman Museum in Rochester, New York. 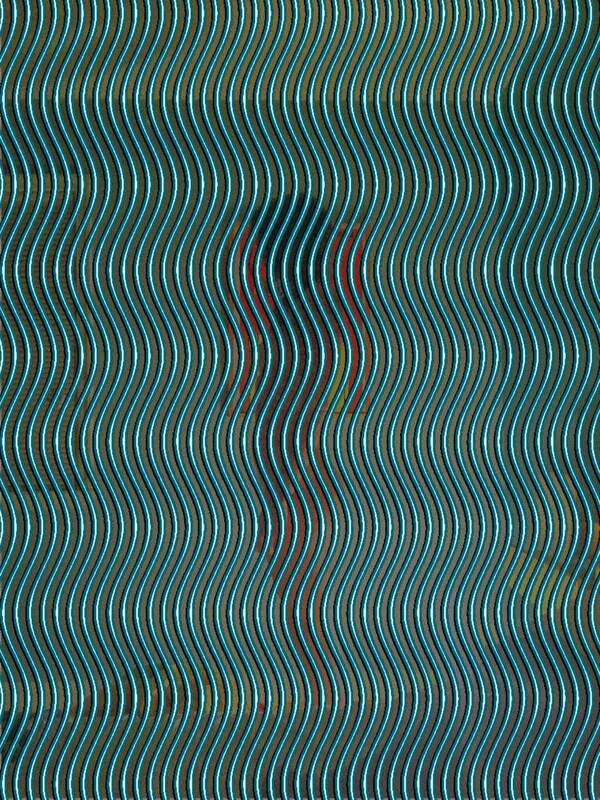 Thomas Barrow, Mladen Bizumic, Matthew Brandt, Marco Breuer, Antony Cairns, Ellen Carey, Phil Chang, John Chiara, Adam Fuss, Bryan Graf, Robert Heinecken, Leslie Hewitt, Kenneth Josephson, Farrah Karapetian, Jason Lazarus, Laura Letinsky, Jim Lommasson, Lilly Lulay, Nick Marshall, Chris McCaw, Diane Meyer, Yola Monakhov Stockton, Vik Muniz, Floris Neusьss, Marlo Pascual, Matthew Porter, Alison Rossiter, Taryn Simon, Michelle Stuart, Kuniй Sugiura, Matthew Swarts, Bertien van Manen, James Welling, Melanie Willhide and Augusta Wood. A most special and sincere thanks to Lisa Hostetler, Curator in Charge, for including my work in this exciting exhibition. Untitled, 2016. From the series: The Alternatives. 24.75×33″, archival inkjet mounted to dibond. “With the convenience and ubiquity of computers and smartphones, the majority of photographic images are being recorded digitally rather than on film. As this transformation has broadened access to photographic images—both in making and in viewing—in many contexts it has also obviated the need for photographic prints. Snapshooters, photojournalists, and commercial photographers rarely produce material objects as the final step in their process. As a consequence, photographs in the form of image-bearing sheets of paper are scarce outside of the art world. A Matter of Memory: Photography as Object in the Digital Age is generously sponsored by Deborah Ronnen and Sherman Levey. With James Welling, Marco Breuer, and Diane Meyer. Afterward, join Phil Chang in the galleries as he replaces his unfixed prints with new ones that will fade in a matter of hours. Free to members; included with museum admission.